The group had a memorable night at the kibbutz and were very sad to leave the cozy cottages we were able to stay in. Our busy day (Tuesday) of sight-seeing started with a visit to Mount Bental. At the peak of Mt. Bental we had views of Golan and Syria. 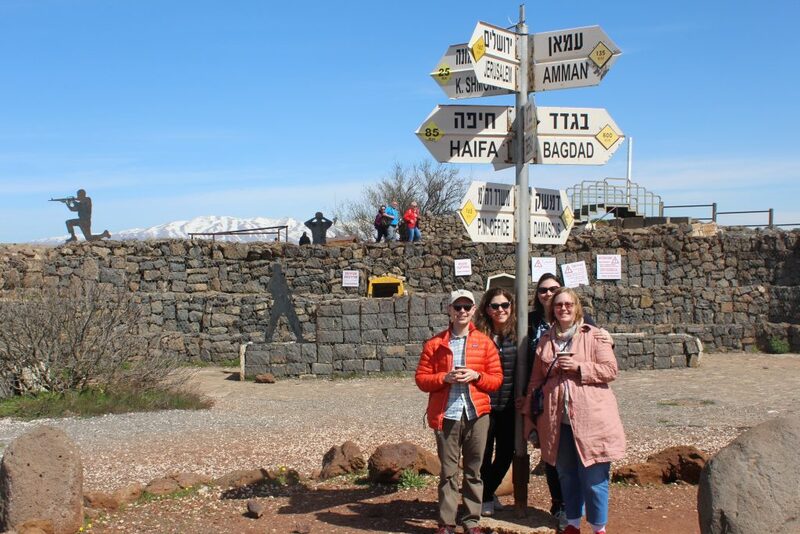 Taylor Brisco and her friends went into the army bunker to imagine what it was like to be a solider during the 1973 Yom Kippur War. 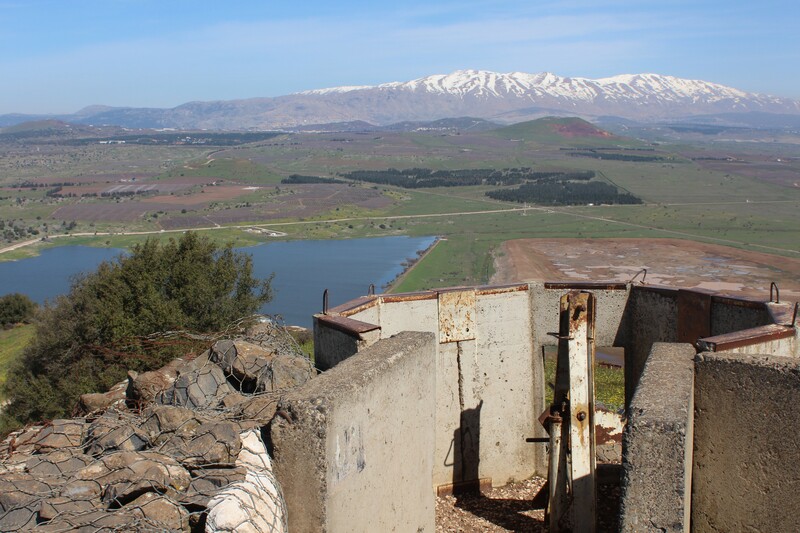 Ms. Brisco said “Visiting Mount Bental was one of my favorite activities due to the historical significance of the mountain peak and also for the amazing view of Golan—and even Syria.” Below is a view from the bunker over to Mt. Hermon where this is still snow… And here is a picture of the faculty in front of the iconic direction sign at the top. We then moved on to visit Christian sites along the Sea of Galilee. 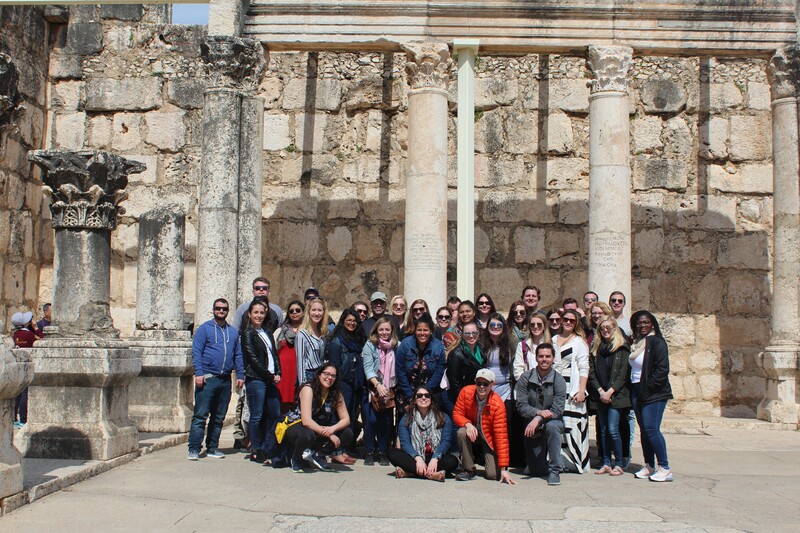 Our first stop was to the town of Capernaum. Capernaum is known for having two ancient synagogues and for being St. Peter’s residence. Our next site was Mount of Beatitudes, this is where Jesus is believed to have delivered the Sermon on the Mount. The last Christian site of the day was Magdala, the birth place of Mary Magdalene. Magdala hosts the Migdal Synagogue, which is the oldest synagogue on the Galilee. While touring the chapels, Professor Natalie Fleury and Student Mercedes De La Rosa sang a beautiful rendition of Ave Maria for the group. It wouldn’t be a Marquette trip if we didn’t stop at at least one winery while we were in Israel. 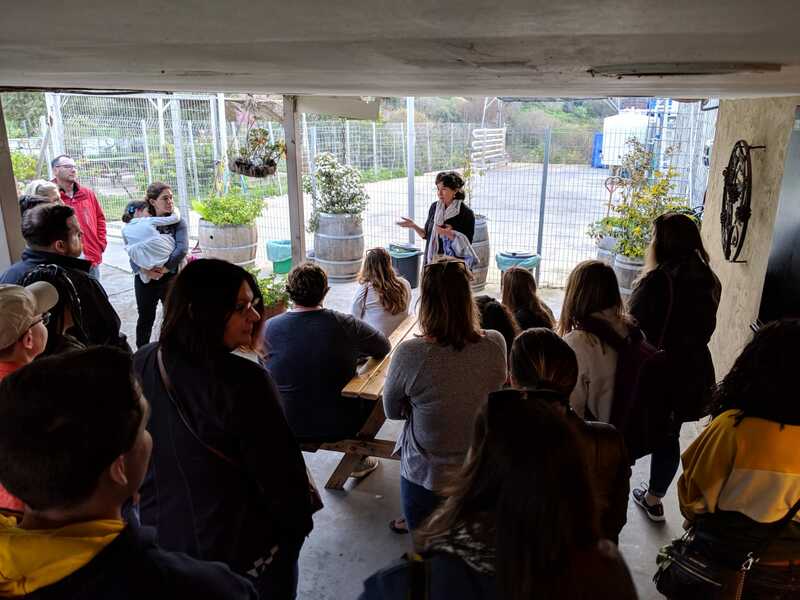 This year, we stopped at Tulip Winery located in Kfar Tikva (Village of Hope). 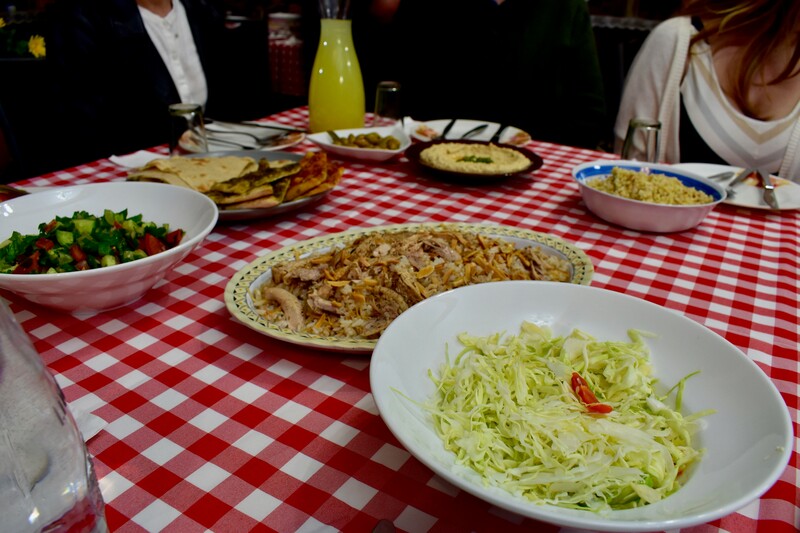 This is a community settlement that is the first of its kind for adults with developmental and emotional disabilities. The winery employs the members of the community to help integrate the members into the labor market like any other person and was really meaningful. My brilliant sister Nancy Strichman, who teaches non-profit evaluation at Hebrew University, also was able to stop by and give the students an overview of the emerging definition of “shared society” in advance of our visits to many non-profits the next day.